Silicon Valley has a problem. There are many jobs to fill, and not enough talented engineers to fill them. That is, at least in part, why Mark Zuckerberg and a host of tech luminaries founded and launched FWD.us in the spring. 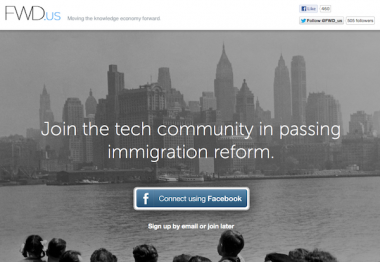 It’s essentially a lobbyist group with the aim of enacting change in this country’s problematic immigration policies. The group has faced harsh criticism since its launch. 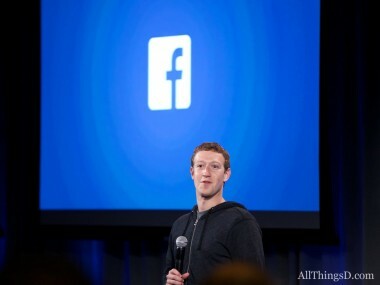 The assumption was that these technology giants — and Zuckerberg’s Facebook, in particular — were after little more than securing more coveted H1-B visas, essentially granting an influx of foreign, skilled technology workers to fill the Valley’s talent shortage. FWD.us wants to fight that image — big-time. And to start pushing that point home, the group co-hosted the San Francisco premiere of “Documented,” a film made by writer and activist Jose Antonio Vargas, which chronicles his own struggles with being an undocumented immigrant in the U.S.
Zuckerberg himself delivered the opening remarks. Zuckerberg began by telling the crowd of a few hundred Valley types, politicos and immigration activists about a semester he spent teaching a small class of Menlo Park students about entrepreneurship. After asking the class of about 18 middle-school students what they were most afraid of, one said he was scared about whether or not he would be able to go to college because of his status as an undocumented immigrant. That, Zuckerberg claimed, is the reason he formed FWD.us in the first place. “This really touched me,” he said. Redefining FWD’s public image is especially important for Zuckerberg and others who make up the group — including famed venture capitalist John Doerr, LinkedIn’s Reid Hoffman and Yahoo’s Marissa Mayer — which since its coming-out party has suffered public attacks from detractors. Some, like the Stanford academic and writer Vivek Wadhwa, levied complaints that the Valley’s hubris has caught up to it, and that tech moguls couldn’t charge haphazardly inside the Beltway and expect to enact change playing by old-school D.C. tactics. That’s a set of tactics that came to light in a particularly unflattering way in May, when it was revealed that FWD.us was backing a series of political ads for conservative lawmakers who support controversial policies like Arctic oil drilling and the building of the Keystone XL pipeline. At that point, the group’s pie-in-the-sky aspirations for immigration reform were tainted with the “business as usual” feel of D.C. politicking. So much so, in fact, that key supporters Elon Musk of Tesla and David Sacks of Yammer both withdrew support from FWD.us in a very public way. Most of all, the group looks to shake off an image of self-interest that seems to pervade the Valley, the idea that its interests lie solely in procuring the next wave of talent from outside of the country, while using activist immigration reform concerns as a front for the effort. “When they said forward, it actually meant all of us,” filmmaker and writer Vargas said.